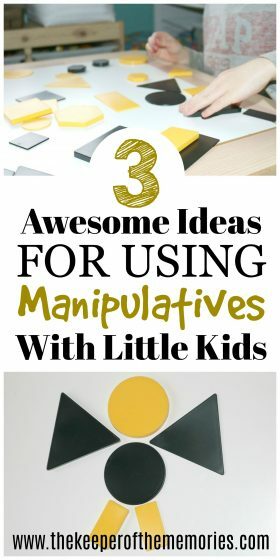 If you have lots of preschool manipulatives and aren’t really sure what to do with them, then look no further! 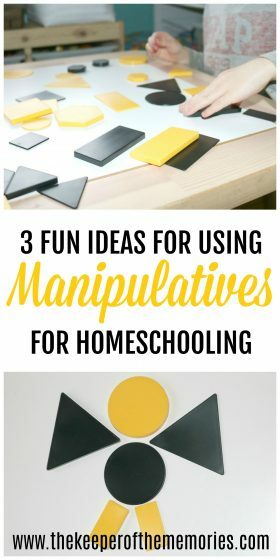 Here are three way to use preschool manipulatives in your homeschool! You’re definitely not going to want to miss these awesome ideas! It’s onward, y’all! We started Bees & Butterflies this week and the little guy and I had a blast playing with the preschool manipulatives that came in our curriculum kit. 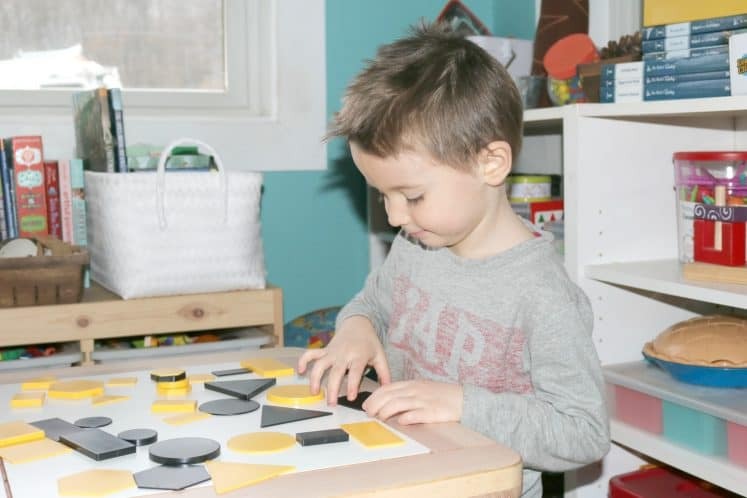 This month, it’s bumble bee-inspired black and yellow pattern blocks. And of course that meant a buzzing good time! We started off by checking out what exactly we got and sorting by color and shape too. After that, it was time to make some bumble bees. And when we were finished, we also made a fun, outdoor scene. Pattern blocks are oh so versatile and lots of fun. The little guy loved every minute of sorting, exploring, and creating with them. 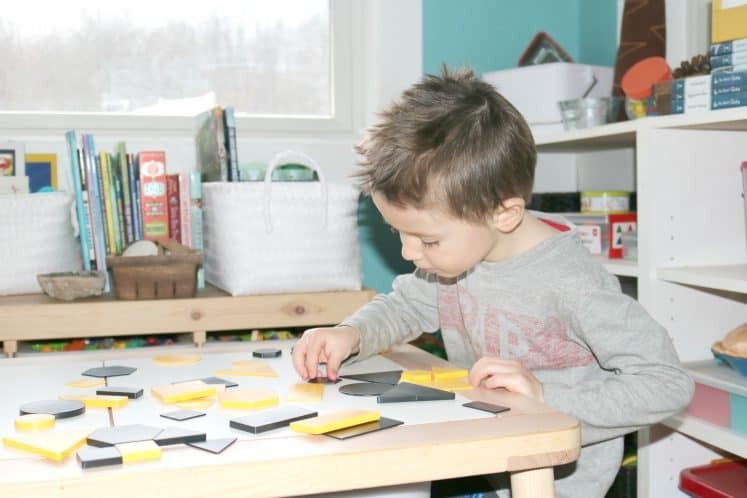 If you’re curious what we did, you can check out our list of 3 ideas for using preschool manipulatives in your homeschool. Sort by Attribute – You can sort by color and shape as well as size. And because pattern blocks come in so many variations. The possibilities are literally endless. We have quite a few sets that we’ve gotten with our preschool curriculum. We have bright colors and translucent ones along with the black and yellow pattern blocks that we got this month. 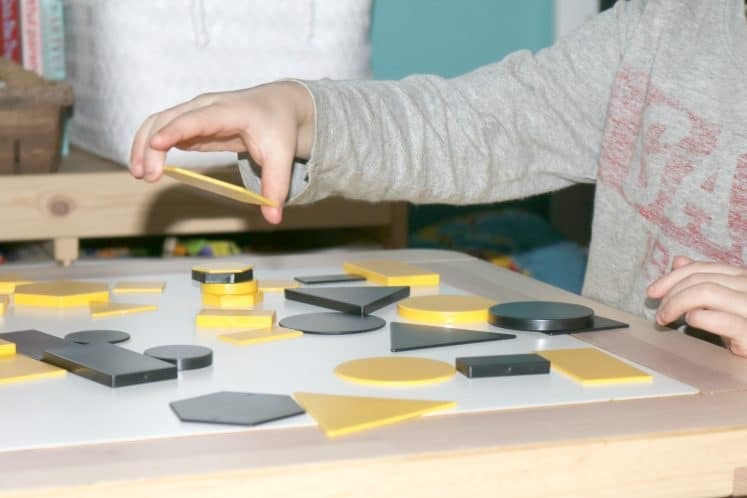 Explore Patterns – These particular manipulatives were awesome for exploring patterns. 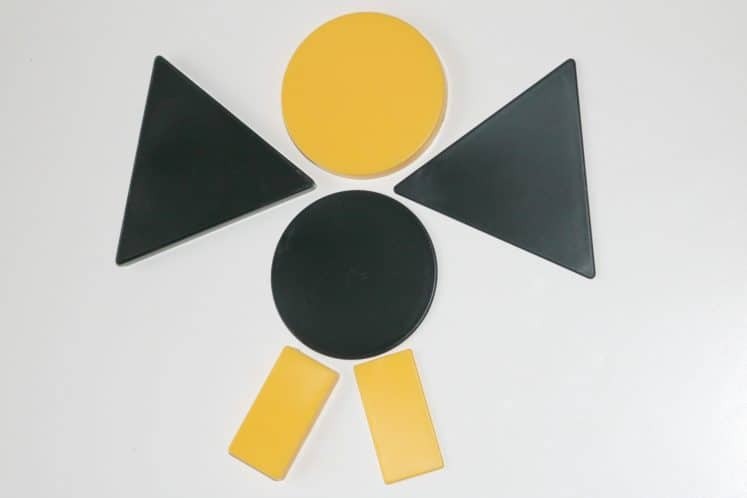 Black, yellow, black, yellow or even Rectangle, circle, hexagon, rectangle… I’m sure you get the idea! Little kids think patterns are so great. It’s kinda like a mystery for them to solve. 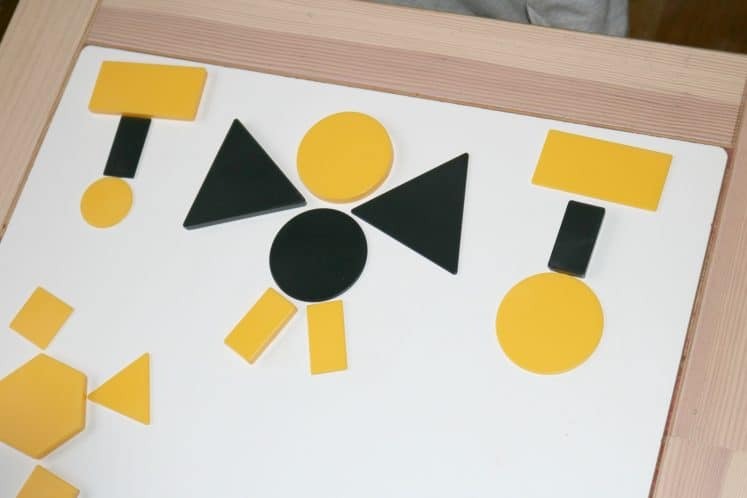 Create Pictures – Pattern blocks can be used on a tray or a table (or even a light table) to create pictures and scenes. You could give your little kids a prompt and ask them to make their own [fill in the blank with whatever you’re learning about or they’re interested in]. Or you could even ask them to create a scene and tell you a story. So many things to do, right? Do you have some ideas for using preschool manipulatives in your homeschool? Make sure to leave a comment and share!